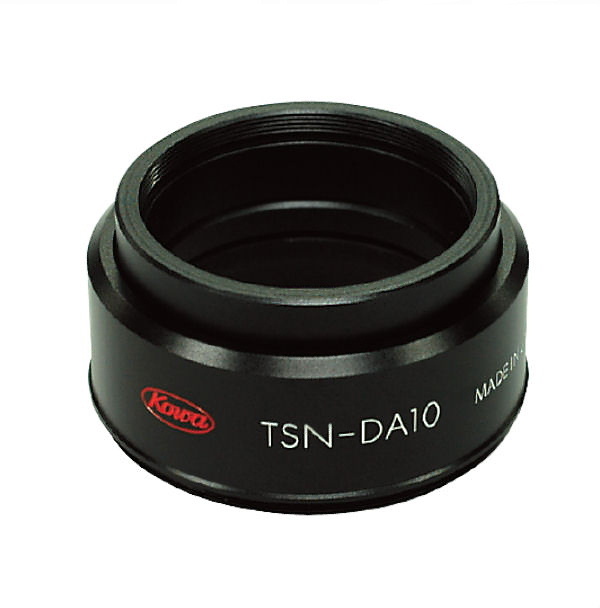 The Kowa TSN-DA10 Digital Photo Adapter is the basic adapter for the new TSN-770 and TSN-880 spotting scopes. 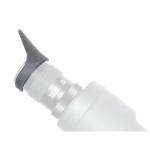 It attaches to the eyepiece by threading onto the threads revealed when the twist-up eyecup is removed. 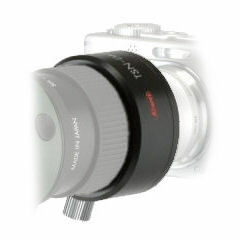 The DA10 can be used either with any current Kowa camera adapter ring to attach cameras with filter threads, or with the TSN-DA4 for cameras without filter threads.